Kabar TDI Last Ditch Knife » Protective Solutions, Inc. The Kabar TDI Last Ditch Knife (LDK) - Light, concealable protection. Lace into boot, pin inside belt, or hang around your neck. 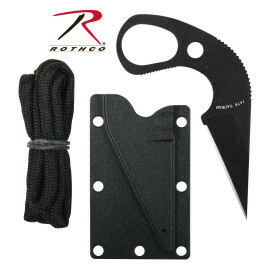 Includes plastic Sheath with cord.